If you are starting a small business or a home based business then you have to use the internet to make sure that you give your business the best platform to stand on. The blogs are really great tools for small businesses as they can really help you with the business if you know how to use the blogs properly. Blogging helps the small home based businesses more than anything else as blogs are the easiest and most effective way of reaching out to potential customers. Here are some of the main ways how you can utilize blogging to make your small business successful. If you want to make your small business successful then you have to find a way to be connected with your targeted customers. The blogging is a great way to get and remain connected with people. You can use a blog to share your thoughts and what you are doing to make things more personal with them. That way you will make sure that the potential customers will feel close to you. The best way of blogging is being personal. You need to come out as a person who your customers can like and trust. This is why being a little personal is a good idea for getting new customers regularly. Tell then how you are struggling to make your business work and how much you are sticking to your principles. These things can help you to maintain a worthy relation with the potential customers. You cannot start a small business if you are not sure that you will have at least few customers to start with. For that, you need to make the targeted customers feel that you are a trustable business person. If you can provide them with attractive and helpful contents regularly through your blog then you can make them like your business idea too. This way you can make sure that you gain few customers to start your business with. The keywords are the search strings that people use when looking for something online. There are certain keywords that the people use while looking for products or services of the kind you deal with. You need to use those keywords in your posts to make people visit your blog and then use the services that you provide them with. You can use keyword research tools to find favorable keywords for the blog. 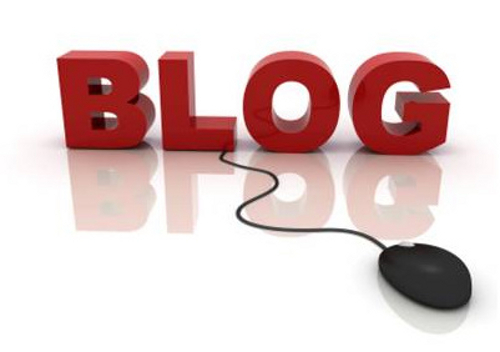 The blogs don’t only attract your followers but they also attract the people who follow your followers. That way they become your followers too. However, you have to make sure that they like what you have to offer in your blog. Your reach increases with this and you get more customers. What you need to do is to make sure that you hold on to them. When you have followers for your blog, you will get some feedbacks too. That will help you to know what your targeted customers like about your business and what more they expect from you. That will help you to improve and make your business more successful. This guest post is written by Harry Sehgal. If you have had your fill of these kind of technical articles, why not take a break and read something different? I recommend that you read about Cupcake Soaps, and if you get more time, and are interested, also read about Haunted Dolls.